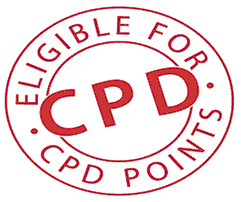 Continuous Professional Development (CPD) accreditation has been applied for with the HPCSA. All workshops will be hosted on campus in Salt River, Cape Town. For registrations and information, contact Maryka on marykan@cornerstone.ac.za or call 021 448 0050. Geraldine Franciscus is the Head of Psychology Department and a Senior Lecturer in Psychology. 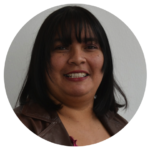 Geraldine is a Counselling Psychologist with an area of interest in Solution Focussed Brief Therapy and Cognitive Behavioural Therapy. 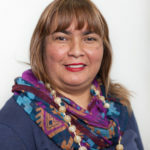 Prior to teaching at Cornerstone Institute, she worked at the Institute for Child and Family Development (UWC) on the Child Protective Services Training Programme. 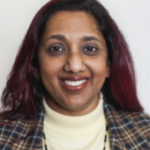 Research interests include Systematic Reviews looking at Adolescent Research Taking behaviour and Solution Focussed Brief Therapy and its effectiveness. 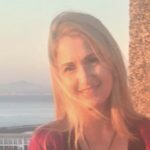 She has been a Psychology Lecturer for 17 years and also been involved in setting up Student Counselling Services, offering therapy, training and supervising postgraduate psychology students, interns and registered counsellors, running psycho-educational workshops for NGO’s, Schools, Health Department- mental healthcare workers & occupational therapists, psychologists, psychiatric nurses and social workers. Dr Elmarie Venter (Counselling Psychologist & Senior Psychology Lecturer) and Hosted by the Department of Psychology, Cornerstone Institute. 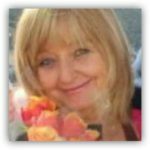 Elmarie has been in private practice as a psychologist for the last 24 years (since 1994). She is a registered counselling psychologist (B.Soc.Sc. ; H.B.Soc.Sc; M.Soc.Sc) with the Health Professions Council of South Africa, a Clinical Hypnotherapist registered with the Wellness Institute (USA) as well as an Imago Relationship Therapist registered with the Imago Relationship Therapy Institute (USA) as well as Imago Africa. 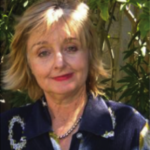 Elmarie also holds Masters and Doctorate degrees in Transpersonal psychology and has provided psychotherapeutic services in individual, couple and group environments. She also offers regular short courses, seminars and workshops. Elmarie is currently in the process of completing a PhD in Consulting Psychology (University of South Africa) with a thesis titled “A coaching model for the development of spiritual intelligence in the workplace”. She is a psychology lecturer, offering therapy, training and supervising postgraduate psychology students, interns and registered counsellors. This one-day workshop will address the necessity for this technique in the South African context. It will be interactive and through small group discussions, we will explore possible practical tools and exercises. Brace yourself for a day of navigating the journey of this workshop fully…mindfully! WHAT WILL BE COVERED IN THE WORKSHOP? • Why is this workshop necessary? 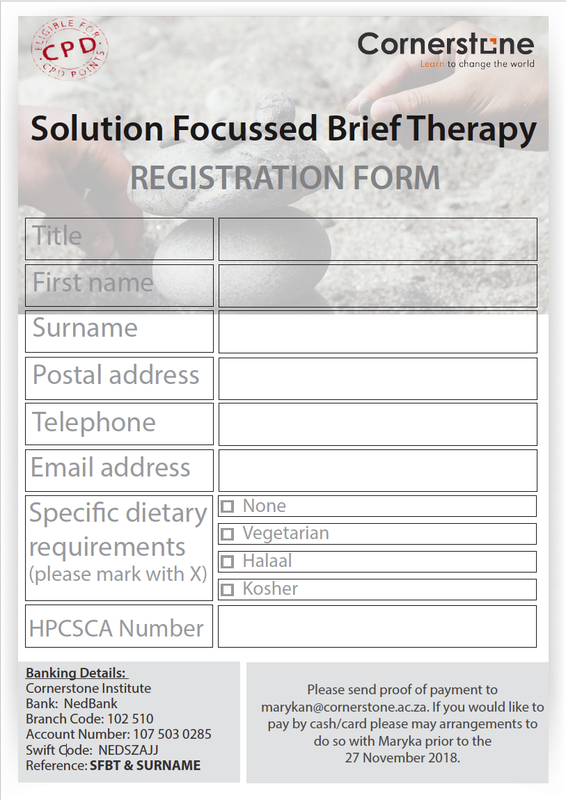 • What about the HPCSA? • Mindfulness in training health professionals • Strategies for Practice • How to take this forward? 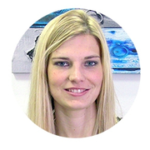 ABOUT THE PRESENTER: Narissa Philander is a Senior Clinical Psychologist, registered with the HPCSA and the BHF. She graduated from the University of the Western Cape with a B.A (Hons Psychology) and the University of Cape Town with an M.A (Clinical Psychology). She is currently a Senior Lecturer at Cornerstone Institute. 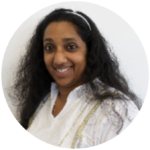 Narissa has worked as a Clinical Psychologist in a variety of settings over the past 18 years. This includes psychiatric hospitals, NGOs, private practice, community involvement and academic institutions. Her most recent certification is as a facilitator of life skills training and as a life coach through the Academy of Life Coaching. She is passionate about training professionals and justice!